The BunnyVac is a Pasteurella multocida vaccine for use in healthy rabbits which became available in the USA in May 2013. Here are the history, indications, contraindications, and risks to your rabbit herd or your pet rabbits. Pan American Vet Lab (PAVL) has been producing various antibody products over the last 20 years. To do so, the laboratory maintains a herd of up to 300 rabbits. In 2007, a virulent strain of P. multocida tore through the herd, resulting in a severe outbreak of pasteurellosis with devastating effect. Because the laboratory earns $200 – 2,000/month for each of its lab rabbits, you can’t just cull sick animals without sustaining catastrophic losses to the business. Therefore, they embarked on a serious effort to create a vaccine against P. multocida. Initially, the intent was to develop a vaccine for use in the lab herd only. But while Mr. Glass could readily see the commercial potential of a vaccine which would be available to the general public, it took a couple years to convince the Lab’s management that a bunny vaccine was important. The application was submitted to the USDA, along with the pre-clinical trials that had already been done very successfully. A clinical trial followed. For this blinded study, 30 rabbits were divided into 3 groups. Group A received vaccine A, Group B received vaccine B, while group C received a placebo. The study administrators however did not know which group was which. The vaccines were administered on day zero and day 28. The challenge was administered 3 weeks after the second vaccination. 60% of the control group rabbits died from subsequent pasteurella infection. A small number of animals in the vaccinated groups showed slight nasal congestion and clear nasal discharge for 24-48 hours as may be expected when the immune response defeats a potential infection. 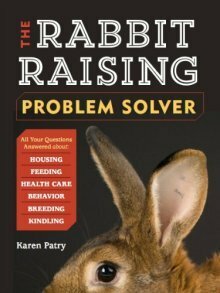 http://pavlab.com/pavlab/bunnyvac/ - you'll find links to info and ordering here. Administer the vaccine via subcutaneous injection on day 0, day 30, and annually thereafter. There is no single gene that confers safety from snuffles. Any rabbit, if exposed to a massive dose of pasteurella germs, will become sick and possibly die, even if you believe it has a very strong immune system after years of culling sneezing animals from your herd. But culling for wellness is still a good thing. If you continually select for healthy animals, you will have eliminated the disease organisms from the barn, and selected those rabbits with robust immunity. With selective breeding, you can develop a herd that has a better capability to recognize P. multocida as a pathogen, mount an attack against it more quickly, and overcome the germs. The theory, according to current immunologic thought, is that the vaccine enhances this process so that the immune system reacts with a vengeance upon rapid recognition of any P. multocida germs in the rabbit’s body. BunnyVac will not prevent 100% of pasteurellosis disease cases. To be effective, the rabbit needs to have an adequate immune response, meaning not immune-compromised. Rabbits with a weak immune system will not respond to the vaccine. If your rabbit is sick, it is not always easy to know whether your rabbit’s immune system is competent but drained through a second, hidden, infection, or whether it was simply inadequate. Additionally, a certain percentage of rabbits, estimated to be 10%, will not build antibodies to P. multocida despite vaccination. Visit Vaccine Immunity for Mr. Glass’s explanation of how the BunnyVac stimulates immunity to P. multocida in rabbits (opens in a new window). How long does the vaccine last in the rabbit? It will protect the vast majority of rabbits for a full year. The rate at which a rabbit will revert to its pre-vaccine state will vary from rabbit to rabbit. If your rabbit falls sick of snuffles before the year is up, this may indicate the rabbit had a weak immune system or other undetected disease. Can you vaccinate already sick rabbits? The sick rabbits in Mr. Glass’s laboratory became asymptomatic. As more people obtain and use the vaccine, similar stories are reported that symptoms diminished or disappeared. These rabbits must then be recognized as possible carriers of P. multocida bacteria. Do you need a different vaccine dose for dwarf rabbits as opposed to New Zealand Whites or Flemish Giants? No. The sought-for immune response is not connected to the size of the rabbit. Administer the same dose to all sizes and breeds of rabbits. How old should your rabbits be before they can be vaccinated? The first dose can be given when the bunny is 6-7 weeks old, or weaning age. At this age the immune system is fully functioning, which is one of the chief criteria for vaccine efficacy. Can you vaccinate a pregnant doe? Any stress on pregnant does can over-strain the immune system. Vaccines are specifically designed to strain the immune system in order to elicit the desired effect of antibody production. For this reason, it would be very unwise to vaccinate beyond a week after breeding. Vaccination with the BunnyVac is not recommended during the last half of the pregnancy. Mr. Glass vaccinates his laboratory does AT breeding or a week earlier in order to avoid pregnancy stress. Are there any side effects from the vaccine? Yes, two side effects have been noted. Sterile abscesses have been reported in up to 25% of animals. However out of 300 animals in the Field Safety study, they obtained just a 1% rate. The vaccine is administered subcutaneously, and if any is deposited in the dermis layer of the skin, this may contribute to the development of a sterile abscess lump, which typically goes away within a week. Therefore, if the vaccine can be administered entirely into the subcutaneous space without getting any in the dermal layers, the likelihood of a sterile abscess drops to near-negligible. Clear nasal drainage. This is an immune-mediated response in the nasal passages. The drainage clears up within 48 hours, usually, and is not infectious, according to Mr. Glass. Can a rabbit get an infection from the vaccine? No. The vaccine contains killed bacterial matter. Everything is dead in the vaccine vial. Can you eat a vaccinated rabbit? Only after a 21 day withdrawal period. Will the vaccine eliminate the need for culling for pasteurellosis? No, not normally. First, the vaccine is ineffective if the rabbit’s immune system is not adequate. Second, the vaccine is not 100% effective. And third, in Karen's opinion, the wise breeder WANTS ironclad immunity in every rabbit in his or her rabbitry. The BunnyVac is not a silver bullet, and culling should continue to be an unpleasant chore. According to Mr. Glass, BunnyVac CAN be used “off-label,” that is, for “immunotherapeutic” purposes - as a treatment for a rabbit showing signs of pasteurellosis. This is called off-label, because “treating” sick rabbits is more than just disease prevention which is the labeled use according to the USDA license. There IS thimerosol preservative in the vaccine, which delivers a significant dose of toxic mercury to any animal vaccinated. (Exactly how much has not been communicated.) Because the vaccines are packaged in multi-dose vials in order to minimize costs to the breeder, a preservative is required. “This vaccine is not a panacea that will eliminate Pasteurella from every rabbit. It is just one more tool that each producer should evaluate as an addition to their management program. Good hygiene cannot be replaced and certainly should not be replaced” (Mr. Bob Glass). The vaccine is thought to have a 90% rate of effectiveness. Therefore, 10% of vaccinated rabbits will remain unprotected, and may succumb to pasteurellosis upon sufficient exposure to the bacteria. Sick rabbits which are vaccinated appear to continue to be contagious, according to anecdotal reports, despite the cessation of some or all symptoms. Studies that demonstrate length of subsequent continuing contagion have NOT been done. It cannot therefore be stated that vaccinated rabbits are not a danger to other rabbits. Anecdotal reports imply that they ARE a danger, however the studies haven't been done. The BunnyVac is approved for use in the USA. It is not approved for use in Canada or overseas. The development of this Pasteurella multocida vaccine was done in order that a laboratory would not need to cull for disease resistance due to the prohibitive loss of revenue during that culling process. 3+ generations of fully vaccinating the entire herd has resulted in a 1-2% rate of loss per year (reduced from the same rate per month). In this lab, EVERY SINGLE NEW RABBIT is now vaccinated BEFORE introduction to the lab herd, and once a part of the herd, they never leave the premises. You own one or a few pet rabbits, which don’t participate in outside activities such as rabbit jumping. If you vaccinate a sick pet, you should also vaccinate all the pet rabbits in your household. Yours are laboratory rabbits used solely within a laboratory setting and NEVER leave that setting. Optimal immune function is essential as a breeding parameter in show and production rabbits. Certainty as to which rabbits have naturally strong immune systems is essential in show and production rabbits. Use of vaccination protocols cannot help but remove this certainty. Additionally, the use of a Pasteurella multocida vaccine may result in the strong temptation to keep that gorgeous but sneezing rabbit, eliminate the symptoms through vaccination, and then perpetuate its weak health genetics in its progeny. Vaccinations do not a strong immune system make! “This vaccine is not a panacea that will eliminate Pasteurella from every rabbit” (Glass). It is in the best interests of a show rabbit herd to refrain from vaccinating with the Pasteurella multocida vaccine, in my opinion. Instead, continue to selectively breed for health, until all the supplemental studies have been done and a much clearer picture of the vaccine's efficacy and risks can be fully ascertained. *Mr. Robert Glass has his Bachelors of Science in Human Medical Technology. He has been working in the field of veterinary immunology for over 20 years.